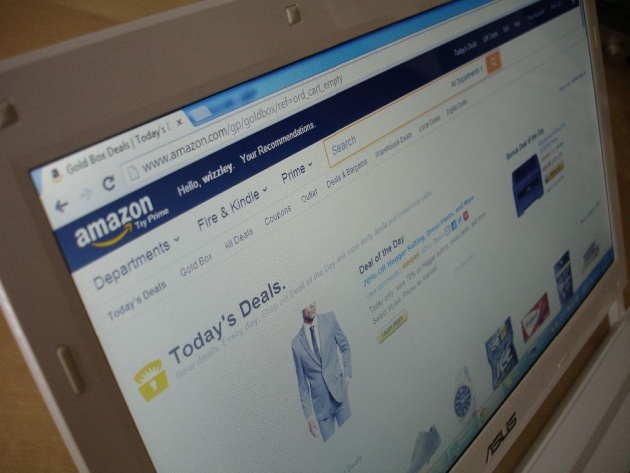 Amazon.com is an online e-commerce company available worldwide which offers a variety of retail consumer products, electronic devices, clothing, pieces of jewelry, and other digital media products. Selling on Amazon is no doubt a timely and a lucrative business an individual with an entrepreneurial skill and interest could engage with. Every day, the number of people who rely on this online shop for their shopping needs is continuously increasing making Amazon selling a more profitable business one could pursue. If you are contemplating on whether to open your own online store or sell in Amazon, I would suggest that you try this site. You can, later on, start your own online shop in order to create your own identity. Through the years, Amazon is trusted by both the seller and the buyer in terms of data and personal information protection. The data from Statista shows that Amazon has gained the trust of 66% of the respondents which is even higher than Google and Facebook. No wonder why Amazon remains on top despite new companies are opening every time. As an Amazon seller, your aim is to grow your business and generate more profit from sales. In your desire to attain this goal, you work hard from sourcing high-quality products, fulfilling clients’ orders, providing the necessary service and generating sales. Meaning, you will personally take charge of the delivery of the product to the client and would handle concerns such as replacement of returned items. You are trying to perform everything while trying to grow your business. Apparently, doing all these tasks can be inconvenient, impractical, and may cost you more along the way. Leaving you with a little profit after the tons of workload placed upon your shoulder. 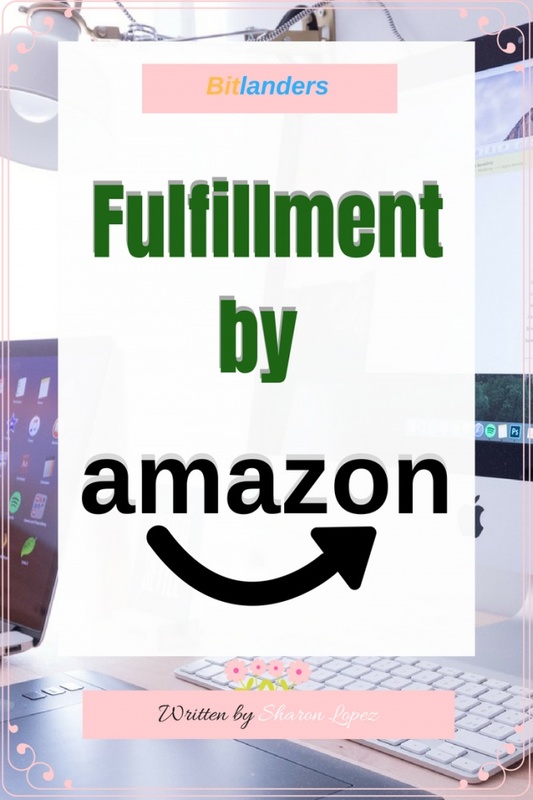 Answering this clamor, Fulfillment by Amazon (FBA) Program has been introduced to save time, reach out to more customer and thereby, you can concentrate on growing your business. FBA shall take charge of reaching out to customers, providing service and delivering the products to the buyer, and take charge of other services including handling returned merchandise and replacing them within 24 hours. FBA Program is a perfect choice for those entrepreneurs who want to make the most of their time. How Does FBA Program Works? As an Amazon seller, you can send your inventory to the nearest Fulfillment center close to your target market. The products will be stored securely in the fulfillment center. Your products will be available for Amazon Prime and free super shipping. You can manage your inventory online using any device and from any location. Sounds good, right? I mean if you can have someone who can safely keep and delivers the products to the customers and do other related tasks such as customer service and handling of returned goods, you can concentrate on the marketing aspect and improve the product if applicable. This would lead to a higher profit and loyal customers because of the faster delivery of goods. In exchange for the services, the Amazon Company will collect corresponding fees. There are three types of fees collected which can vary depending on the size, weight and how long the product stays in the fulfillment center. Fulfillment Fees – these fees include order handling, pick and pack and weight handling and charges for returned products. 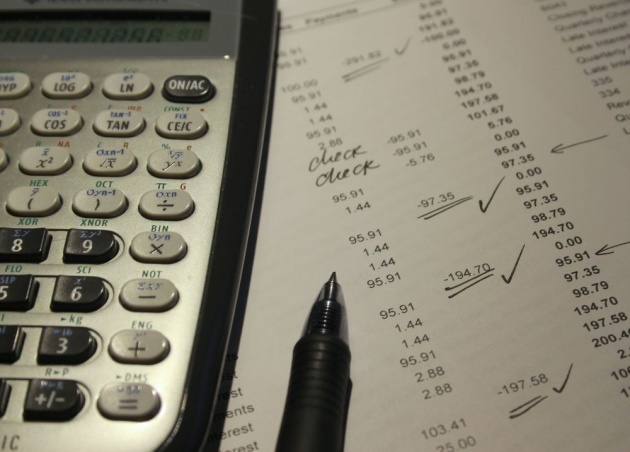 Generally, the fees depend on the size and weight of the product you are going to sell. 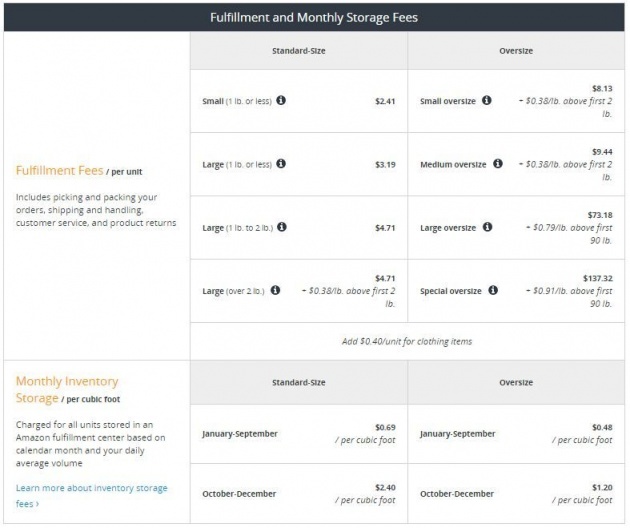 For how long your product stays in the fulfillment center is also included in the computation of fees. Optional Services – refers to those fees other than mentioned above such as prep service fees, removing or disposing of inventory. Labeling fee - If the items you sent to the fulfillment center are not properly labeled, the Amazon staff shall do it on your behalf and you will be charged a labeling fee. FBA Prep Service and FBA Unplanned Prep Service - There are two instances where you can be charged with prep services, you opt to avail of the prep service or you send products which are improperly prepped. Returns Processing - Some categories offer free basic returns processing, but not with those categories with free customer returns. a return processing fee equal to your original fulfillment fee shall be charged and of the product needs repackaging, you will be charged a repackaging fee. Long-Term Storage Amazon charges a long-term storage fee for those products which are remained unsold for longer than 6 months. Stock Removal Fee - You can pull inventory from Amazon or dispose of unsold stock for a corresponding fee. Here is another equally useful video that could help you understand more the Fulfillment by Amazon business. Enjoy watching! Fulfillment by Amazon is a very viable business model you should try in order to reap the greatest benefit of Amazon selling. With just a little amount, you can run a hassle-free and profitable business. I hope you get some worthwhile information on this post. Meanwhile, here is a Querlo Chat survey which you could answer before leaving the page. Thank you.